Spring, Texas – April 9, 2019: James and Wendy Nguyen are excited to open Code Ninjas’ Spring-Rayford location this week. Parents themselves, James and Wendy have long been passionate about education, Wendy said. The new tutoring center, located at 1104 Rayford Road in Spring will celebrate its grand opening April 13 at 10 a.m. and held a soft opening the week of April 1. The Nguyens both work around technology regularly and know how important it is to provide technical and teamwork skills to children. James has a technical background on operating room technologies while Wendy works with technology daily as an auditor. “With Code Ninjas, I see that kids have to come together and collaborate and work together, not be in an isolated space,” Wendy said. High school sweethearts, the Nguyens are immigrants who came to the U.S. and worked hard to become citizens. Wendy said. That hard work gave them an appreciation of education and helped bring them together, they said. They are now married and have three children between the ages of 7 and 14, the same age group the business serves. The couple is active in their church, our Lady of La Vang Catholic Church, Wendy said. James has often taught different youth classes and after Wendy found out about the unique curriculum, they thought the business might give them an opportunity to bring their love of education and technical backgrounds together to get children engaged in learning technical skills, Wendy said. “Code Ninjas is not just for kids coming in to learn, but they have fun at the same time,” James said. The curriculum at the tutoring center starts out interactive and stays that way, James said. Children come in and learn white-belt-level tasks at first, then progress through belt colors similar to a martial arts course, he said. Beginners learn basic skills that allow them to produce simple video games. “By the time they finish, they can write an app for their phone and put it on the app store if they want to,” James said. Parent and student engagement is important to students’ success, Wendy said. Parents interested in enrolling their children in Code Ninjas’ programs should be aware that it is not after-school care or daycare, she said. It is an education center for children to learn technical skills in, she said. James Nguyen works with his son on a project in the tutoring center at Code Ninjas. Similar to a martial arts school, the main portion of the tutoring center is called the dojo. 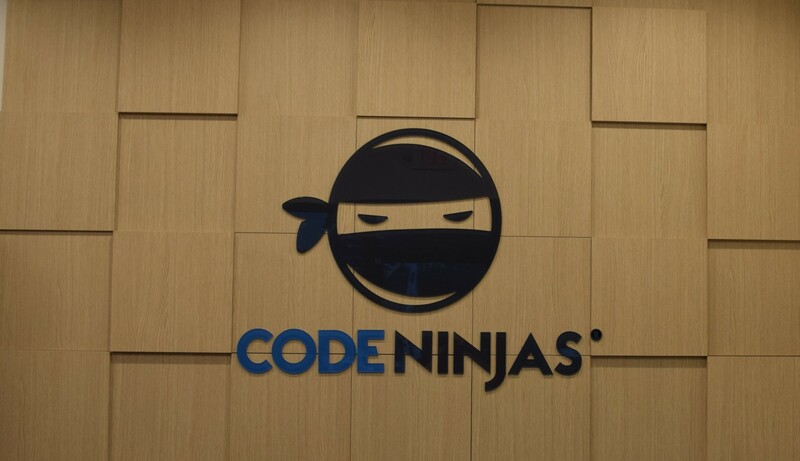 James and Wendy Nguyen are the owners of the new Code Ninjas location on Rayford Road. James and Wendy have seven employees working at the new Code Ninjas location and expect to have 10 staff soon, Wendy said. The staff are high schoolers and college students that already have the technical skills to teach younger students, she said. Code Ninjas’ Spring-Rayford location offers staff a chance to work in a Christian-centered environment that is family-friendly, Wendy said. “Our vision for the business is preparing the children for their career while helping them with social skills as they hang out with other children to get teamwork skills,” Wendy said.